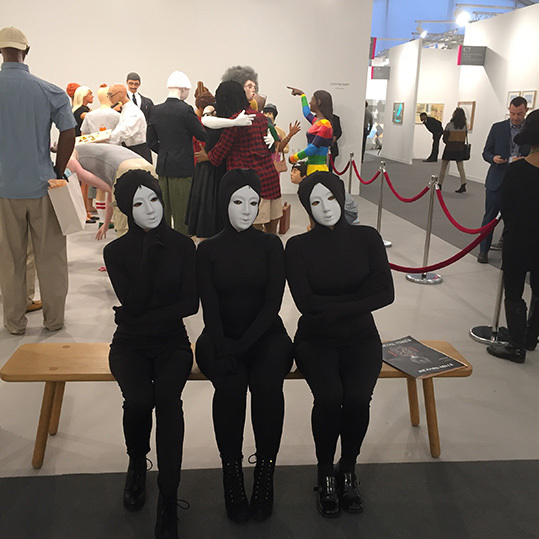 Two conmen selling you a lifetime in paradise, a cocktail party frozen in time, drums playing on their own or a series of paintings shouting 'Give us work now', there is something for everyone at London's Frieze art fair, taking place on 14-17 October. 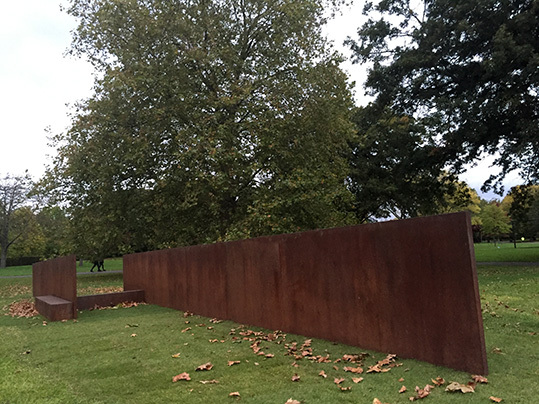 And if your thirst for art discoveries isn’t quenched after your visit to the primary site in Regent's Park, off-site performances and installations ensure London is the world’s capital of contemporary art this week. 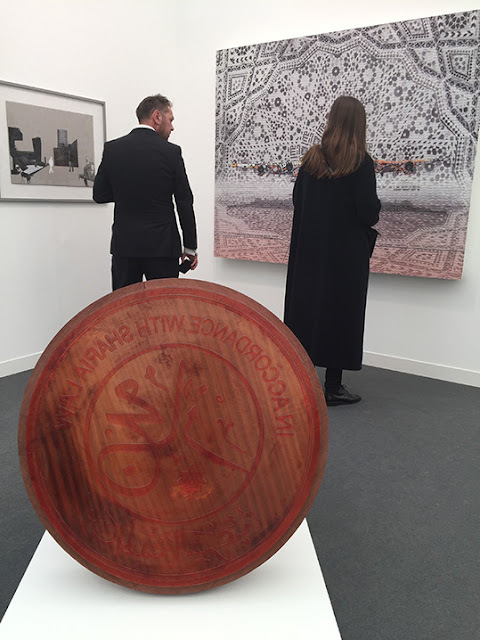 This 13th edition of Frieze London gathers 164 galleries from 27 countries. In the Main section, along household names such as Anish Kapoor, Louise Bourgeois, Francis Alys, Mona Hatoum and Paul MacCarthy, less internationally-renowned artists vie for collectors' attention. This is the case of Abdulnasser Gharem, one of Saudi Arabia’s leading contemporary artists, who presents a giant stamp reading ‘In Accordance with Sharia Law'. Gharem's piece about excessiveness fittingly faces Austrian artist Erwin Wurm's Mutter (mother), a human-sized hot water bottle standing on two feet. 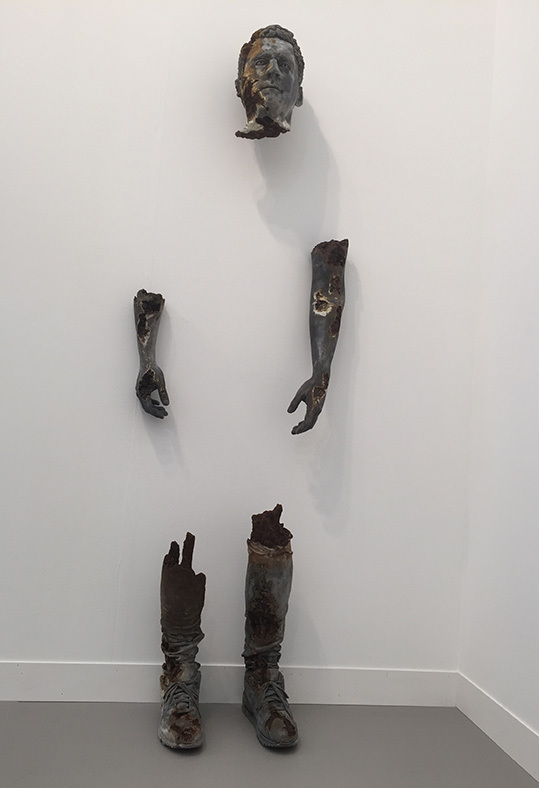 Four Chinese galleries also make the trip to London, proof of the Asian giant's art scene vitality. Shanghai-based ShanghART Gallery brings Wondering Where To Go by Ji Wenyu and Zhu Weibing. 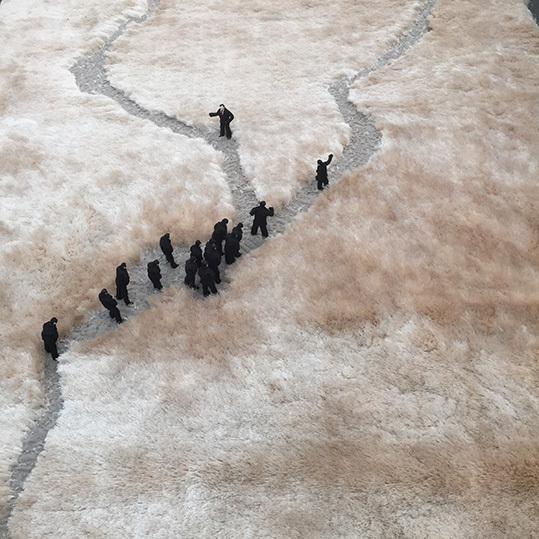 The work, featuring small figurines on a carpet as they hesitate to choose between two roads, questions China’s rapid modernisation and the dilemmas the country faces. In the fair's emerging talent Focus section, Wang Guangxu patiently folded hundreds of small pieces of paper for a refined result. 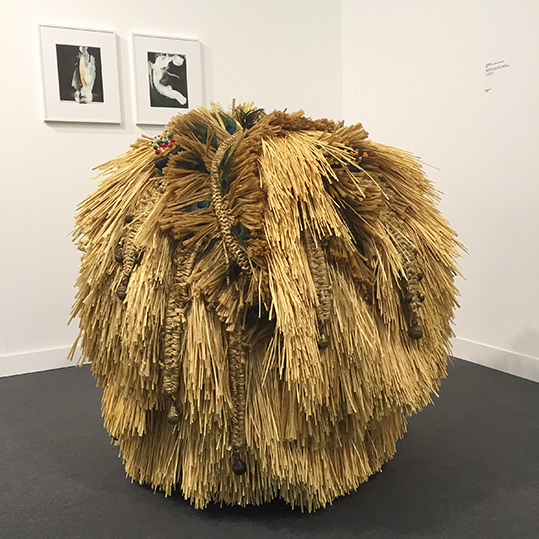 This area also includes two galleries showcasing giant balls made of straw, feathers and ribbons by South Korean artist Haegue Yang. Yang, who lives and works in Berlin, uses domestic found objects to create playful works - in this case imaginary ceremonial balls. The Live section of participative works intended to establish moments of interruption or immersion has further developed this year. 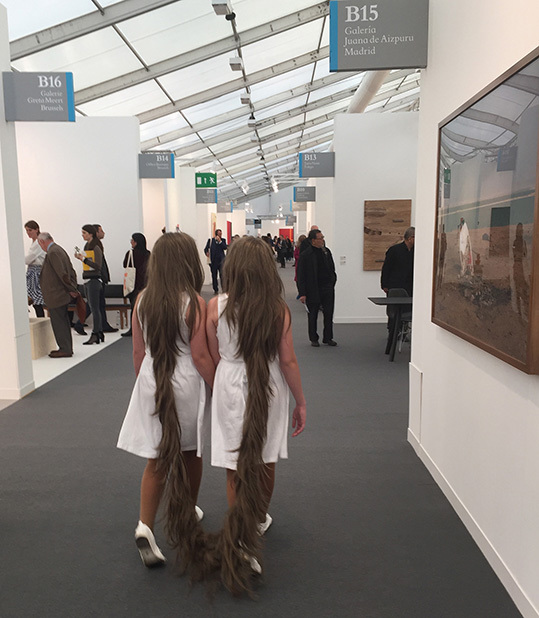 Xifopagas Capilares (siamese twin capillaries), by Brazilian artist Tunga, sees twins sharing a long single length of hair walk throughout the fair. Even the most blasé of visitors turn around for a closer look. 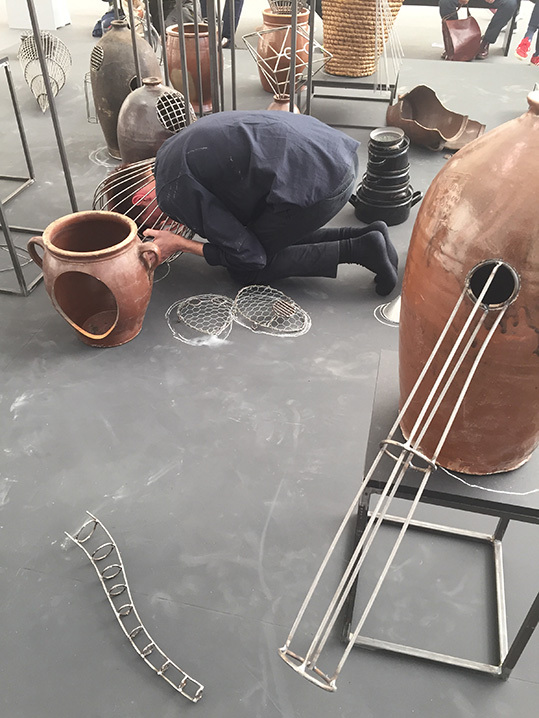 For her Collection of Suppressed Voices, Czech artist Eva Kot’atkova has assembled dozens of vases, some broken, some temporarily fixed, on a platform. A performer stands or kneels with a vase on his head, trying to speak for those who lost their voice or never had one. Next in the auditorium, two conmen sell you a lifetime in paradise in Villagio, a work by Rancourt/Yatsuk. If you choose 'la vita completa’ or the full life, you will be able to slam tequila shots and hit golf balls day after day, ride a jet ski in a £5,000 suit and increase your life expectancy by 30 years. As it becomes clear that this dream may be unaffordable to most people, the men switch discourse and try to recruit waiters and kitchen staff ready to work two shifts in a row – a chance to join the high-life though nowhere near the levels initially 'sold'. Time to exit the tent and get some fresh air in the park itself, which looks its most beautiful in autumn with all the dry leaves dotting the greenery. 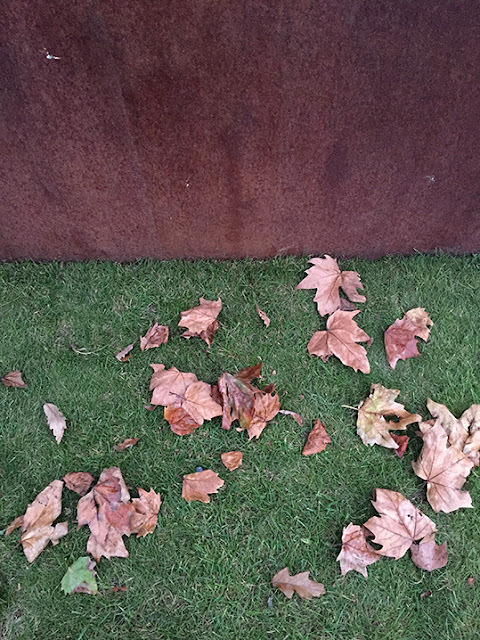 After wandering the Sculpture Park and admiring Richard Serra's Lock, whose burnt orange coloured corten steel perfectly matches the fallen leaves, it's time hit off-site West End locations for more works. 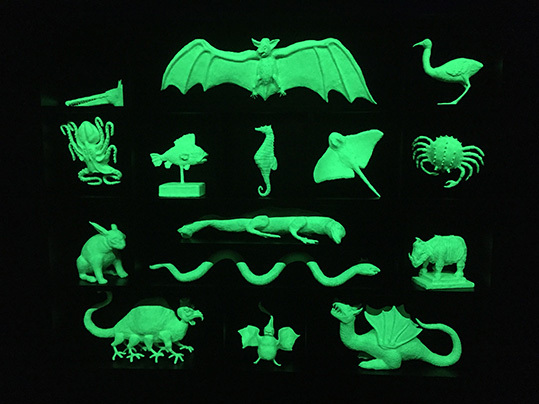 Every day at the Institute of Contemporary Art (ICA), Chinese artist Zhang Ding invites punk bands, DJs, electronic and experimental musicians to fight in the Enter the Dragon sound sculpture, a direct reference to the final scene from the seminal Bruce Lee film. 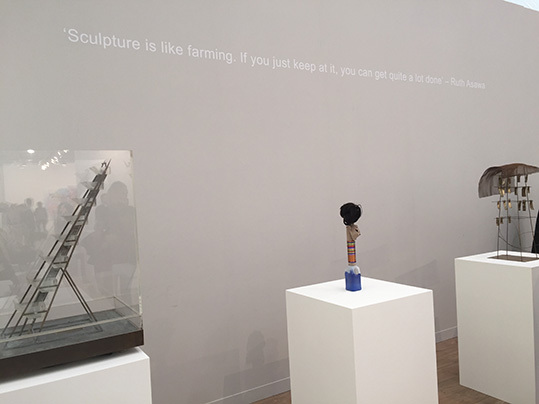 The event is organised by China’s K11 art foundation, led by Adrian Cheng, the Chinese billionaire whose mission is to help local talent become global players. 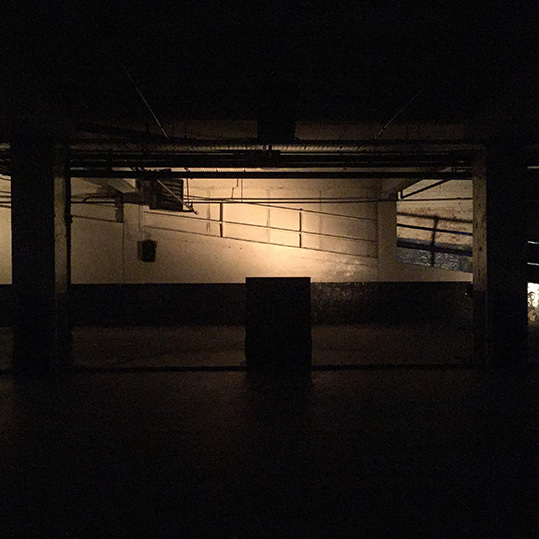 A stroll away, in a dimly-lit basement of a Soho car park, Bill Viola‘s The Talking Drum is playing, courtesy of Blain Southern gallery. And at the end this fine day, abstract painter James Hoff swaps brushes for turntables as he plays DJ in hipster Shoreditch. 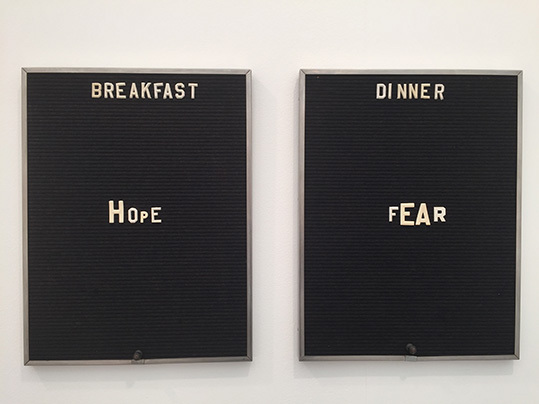 On Thursday night, one of the most anticipated Frieze events is taking the art crowd to Camden for an evening of performances at the David Roberts Art Foundation. The question arises, is this 'la vita completa'? For contemporary art lovers, a full life is certainly in London at least until the end of the week!